Mott the Hoople are going 'Alll the Way to Birmingham' as they begin their reunion tour at the city's Symphony Hall on November 11. Formed in 1969, the band's hits include All The Way From Memphis and The Golden Age of Rock and Roll but they have to thank David Bowie for putting them on the road to rock success. In 1972 they were set to split after their albums Mott the Hoople (1969), Mad Shadows (1970), Wildlife (1971) and Brain Capers (1971) failed to set the charts alight. Longtime fan Bowie persuaded them to stay to together, penning All The Young Dudes as their next single and producing the album of the same name. The single became their biggest hit and commercial success continued with the albums Mott (1973) and 1974's The Hoople and Mott the Hoople Live. They influenced artists like The Clash, Primal Scream and Def Leppard's Joe Elliott. "I followed Mott The Hoople up and down the country,'' reveals Mick Jones of The Clash. ''I'd go to Liverpool or Newcastle or somewhere - sleep on the Town Hall steps, and bunk the fares on the trains, hide in the toilet when the ticket inspector came around. I'd jump off just before the train got to the station and climb over the fence. It was great times, and I always knew I wanted to be in a band and play guitar. That was it for me." Following All The Young Dudes Mott the Hoople enjoyed more hit singles like Honaloochie Boogie and Roll Away The Stone, although Verden Allen and Mick Ralphs both left the band in 1973. 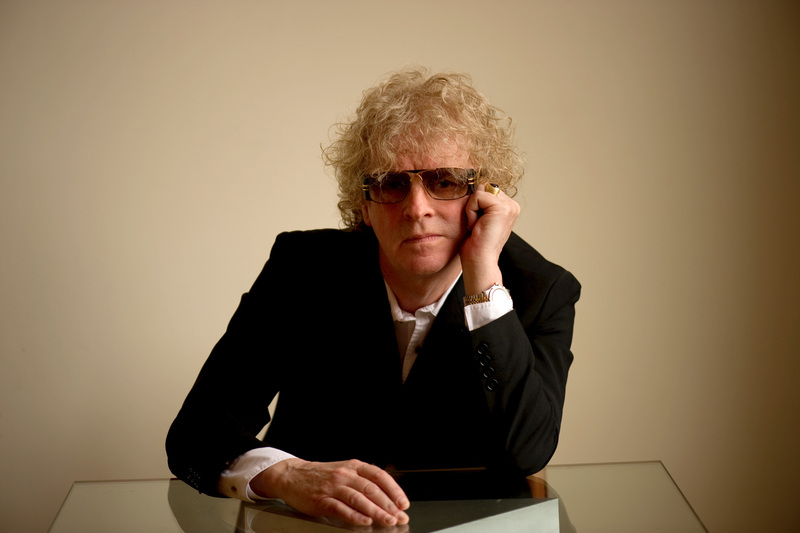 After vocalist Ian Hunter went solo in 1974 the band continued with a new line-up for a while but their albums sold poorly. 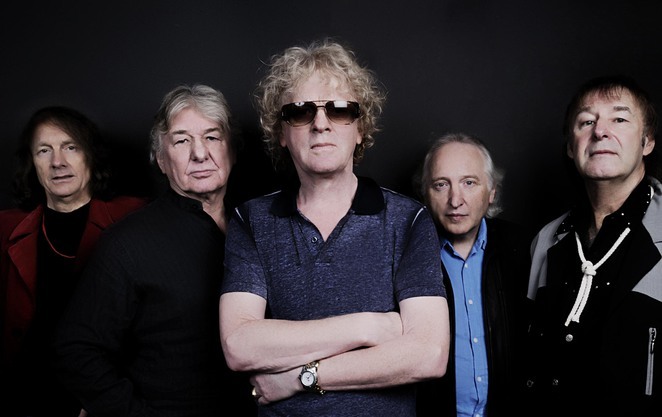 The original Mott the Hoople line-up of singer Ian Hunter, keyboardist Verden Allen, guitarist Mick Ralphs, bassist Overend Watts and drummer Dale Griffin reformed in 2009 to mark the band's 40th anniversary, although ill-health meant Griffin could only play during the encores. His place on the forthcoming five-date tour will be taken by Martin Chambers from The Pretenders. The 2009 gigs, including a five night, sold-out stint at London's Hammersmith Apollo, were the first time the original line-up had played together in over 35 years. When Ian Hunter left Mott the Hoople in 1974 he moved to New York and built up a formidable body of solo releases including 1975′s Ian Hunter, All American Alien Boy (1976), Overnight Angels (1977), You're Never Alone With a Schizophrenic (1979), the live Welcome to the Club (1980) and Short Back 'n' Sides (1981). Following 1983′s well-received All Of The Good Ones Are Taken, the singer took an extended hiatus that kept him out of the spotlight for much the next decade. The 1993 death of his longtime friend and collaborator, guitarist Mick Ronson, jolted him back into musical action. He explains: "In the '80s, when the corporations started taking over, me and Ronson hated it, and we sort of lost track of the right way of doing music. I kind of lost it, and I was totally disgusted with myself for awhile, so I just stopped. And when Mick died, it was a huge wake-up call, and it jerked me back into what I'd forgotten. It was like 'Whoa, you're here for a reason, and you should be doing this properly.' That's when I started writing proper songs again. And that's what I've been doing ever since." Nov 18: London The O2. Why? Cult rock band back together again.